Amaze your loved ones with this Rich Choco Delight gift, specially curated to celebrate the special day of your life, your birthday. This box consists of a big chocolate bar with Happy Birthday written on it. This sweet gift comes with an attractive gift box, taking your curiosity to a new level. Your dear one will sure to feel special and happy on receiving such a fantastic gift from your side. So, this time don’t be late! 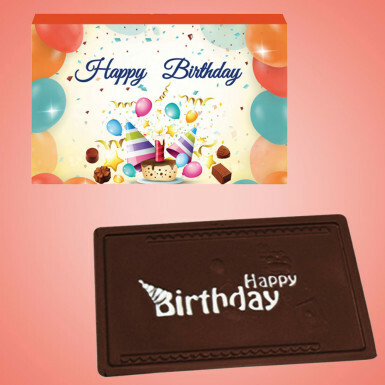 Grab this Rich Choco Delight gift from Winni right now.